Australia declared their first innings closed on 534 for five against Sri Lanka after lunch on day two of the second and final test at the Manuka Oval on Saturday. Kurtis Patterson became the third player to score a century in the innings and was unbeaten on 114, his maiden test hundred. Captain Tim Paine was 45 not out. 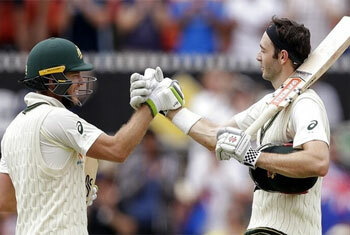 The hosts lead the series 1-0 after their win by an innings and 40 runs in the opening match in Brisbane last week.